A new symbolic landmark of UNIST will be soon installed on campus. 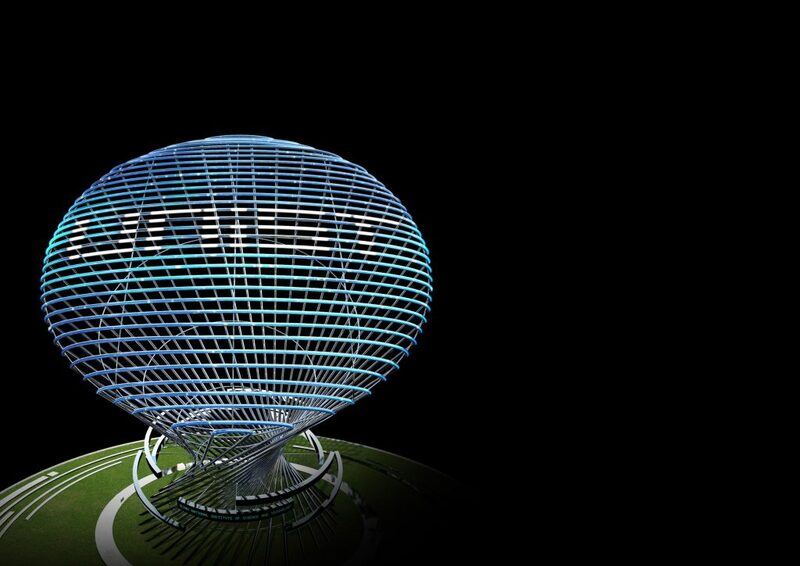 The main theme of this landmark represents "Face the Future'. A new symbolic landmark of UNIST will be unveiled to the public in mid-March, 2018. UNIST will soon have a new symbolic landmark. 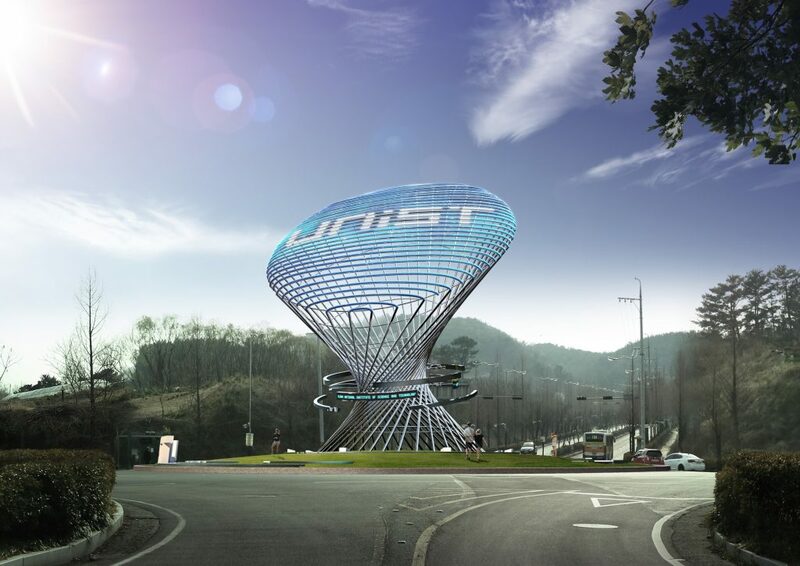 The design of this massive 20-meter high and 40-meter wide stainless steel sculpture has been proposed by Professor Yunwoo Jeong in the School of Design and Human Engineering at UNIST. The main theme of this new landmark represents “Face the Future’. 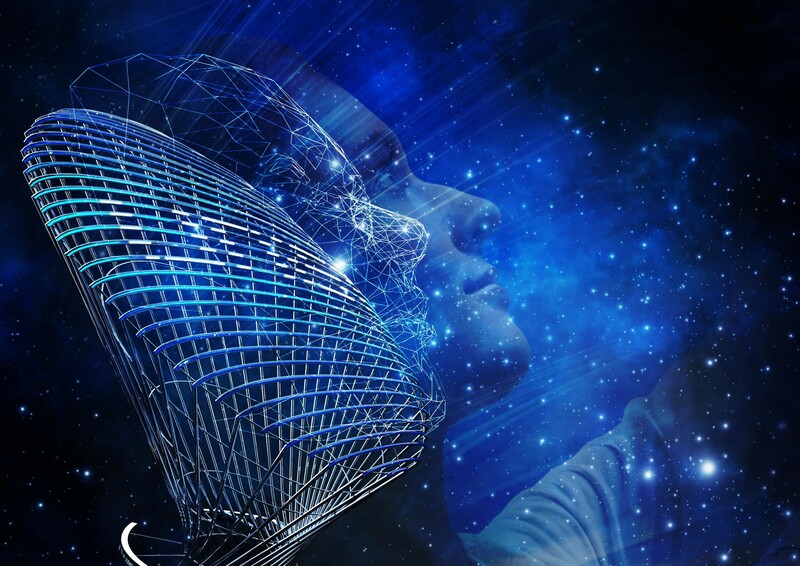 The construction work on the site has been going on for sometime now and the major installation of “Face the Future” will take place in mid-March. Once completed, this brand-new landmark will stand at the center of the lower traffic circle, located at the access road to Route 24. The design concept of ‘Face the Future’ by Professor YeonWoo Jeong in the School of Design and Human Engineering at UNIST. This splendid sculpture has a large round-shaped LED display on its front side and LED scrolling message boards, known as Talk Ring on the lower part of the sculpture. 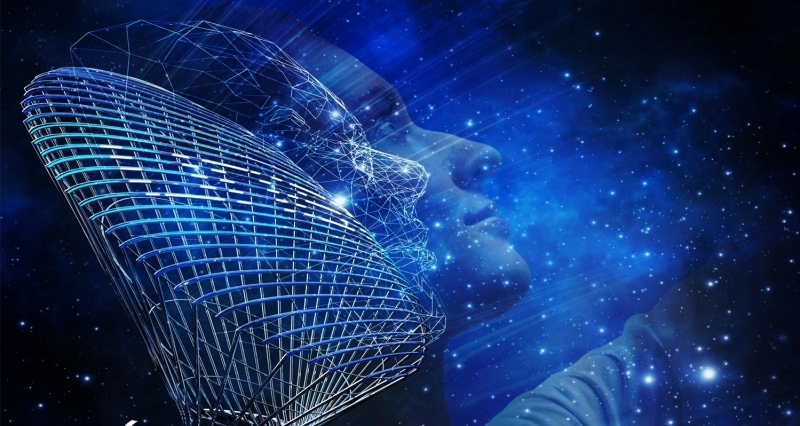 The top display can be used to present various media artworks, which express University Identity (UI) and vision, while the bottom displays serve as a great tool for communicating important information, such as major school events and academic notifications. 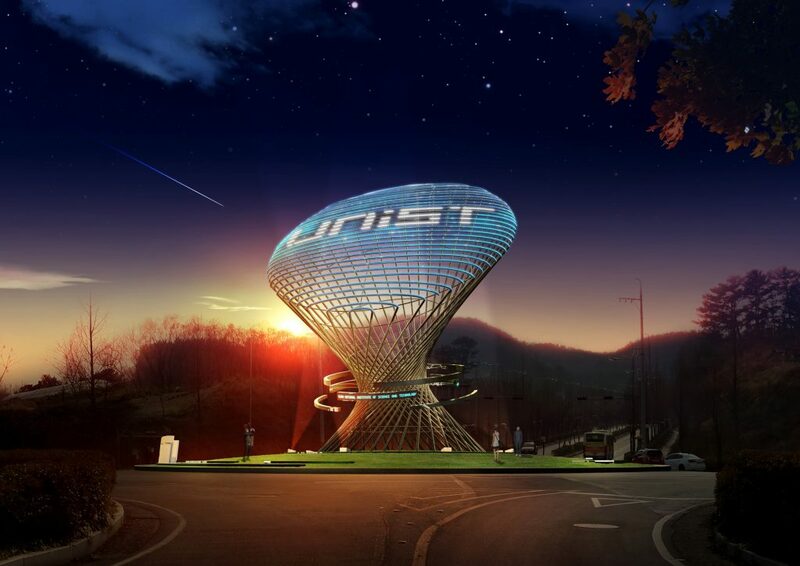 The sculpture symbolizes the face of UNIST, the ‘First Mover who leads the world with innovation and advanced technology for the prosperity of humankind. 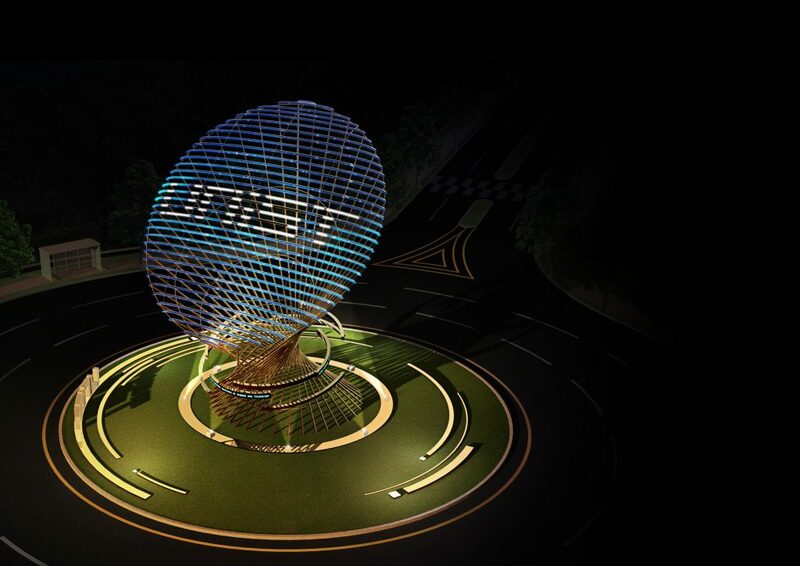 ‘Face the Future’, a new symbolic landmark of UNIST, is lit up at night.